November 2017 was the best lifetime experience for me as I had a chance to be part of Go Kerala trip. This trip was organized by HolidayIQ and Kerala Tourism. Lately, you must have seen my travel post on Kerala, day wise. Do read all the blogs related to my #GoKerala trip. Though we are heading towards 2018, I Shared 6 unique things in Kerala you have to know. I still can’t get over the memories I collected from those 12 days. They were real vacations for me. ‘Vacations do make people happy’ is a famous saying, and this one was the best vacation which was unplanned but best-experienced one. So are you planning to go to Kerala in 2018, then you must read this article which will tell u my experience which you should not miss? Since I know planning a trip considering all the family members can be a bit challenging task. I would make easier for you. If you read this article, I am sure you will never regret when you come back from Kerala. Kerala is amongst one of the most mesmeric and most enchanting places to visit in India. That’s why it is called “God’s Own Country”. Its immense natural beauty, enigma behind the flora and fauna, calmness and purity of Beaches, beauty of its backwaters and its rich heritage makes it a tourist paradise. Let me take you to some of the must-do experience in Kerala. 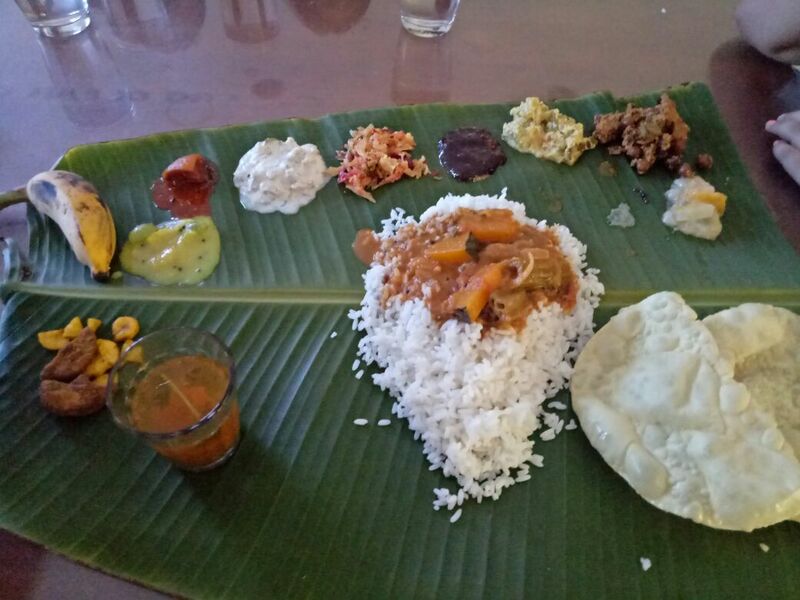 Sadya is a traditional multicourse vegetarian meal usually served on Banana leaf. Typically in Sadya, banana leaves are used as plates. Kerala and its traditional vegetarian Sadya is the combo to one another. It consists of Rice, some side dishes, savouries, pickles and also desserts. It is the basic dish served during festival occasions, weddings or birthday parties in Kerala. It is basically served as lunch and people are supposed to sit cross-legged on the floor on a mat to have it. Kerala is always been appreciated and fascinated by its cuisine. I still remember my first sadya at Pranavam homestay where the old couple made sadya especially for us and they served me as well. I still can’t forget the taste of pachadi – kind of pineapple raita. Take my words sadya define and complete your Kerala trip. It’s one of the best traditional food served in some pattern and its most healthy food. This is one of the best traditional meal from Kerala unique things. Kerala is called as a ‘Land of Spices’. Kerala Cuisine is known for its spicy and hot foods. Kerala is famous for production and export of Exotic Spices. Spices like Cardamom, Ginger, Clove, Pepper, Turmeric etc. Pepper is known as ‘King of Spices’. 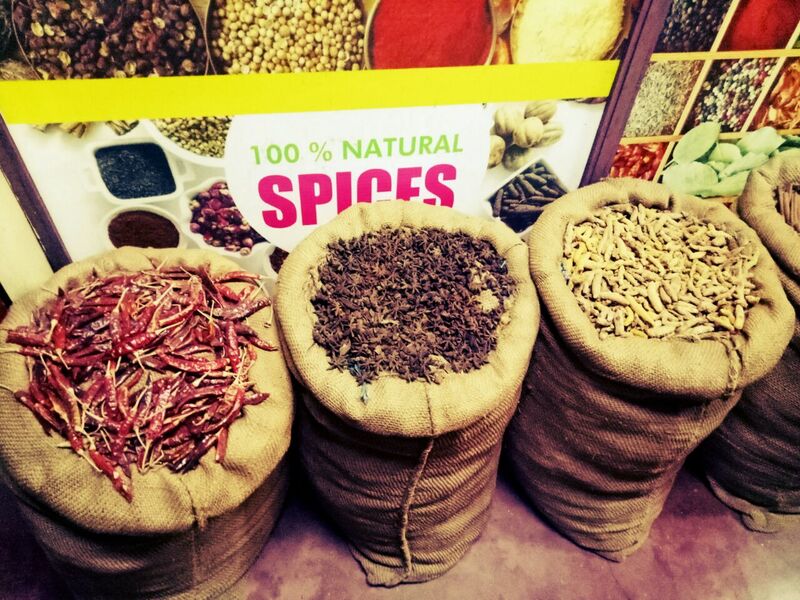 Since Kerala is called as Land of Spices so this place does no compromise with the quality and originality of Spices. The climate of this place is favourable for the recurrent cultivation of spices. The best cardamom I bought from Kerala was from spice routes houseboats. But costly but I have never smelled such beautiful cardamom fragrance. I wud prefer to buy it when you are in Alleppey. And the best part is you can see allspice plants and trees of spices. Spices of Kerala are unique things and unique test. Backwaters are one of the magnetic points of Kerala. The two most popular backwater destination of Kerala are Alleppey and Kumarakom, where the maximum percentage of tourists visit to enjoy Houseboats. Snake Boats are actually the boat which resembles the shape of hooded Snake and it has some unique things. It is also the traditional war boat of Kerala. Kerala Backwaters are a chain of Lagoons, lakes and canals. 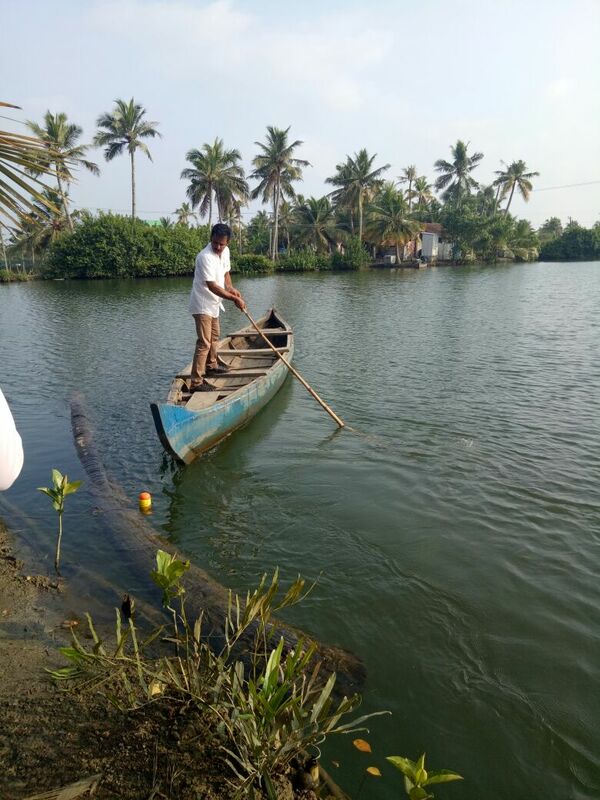 We enjoyed backwater in many places but the best was Munroe Island which takes you to, 40 Min ride to the small village of Munroe and also shows you fish farm and prawn farming. 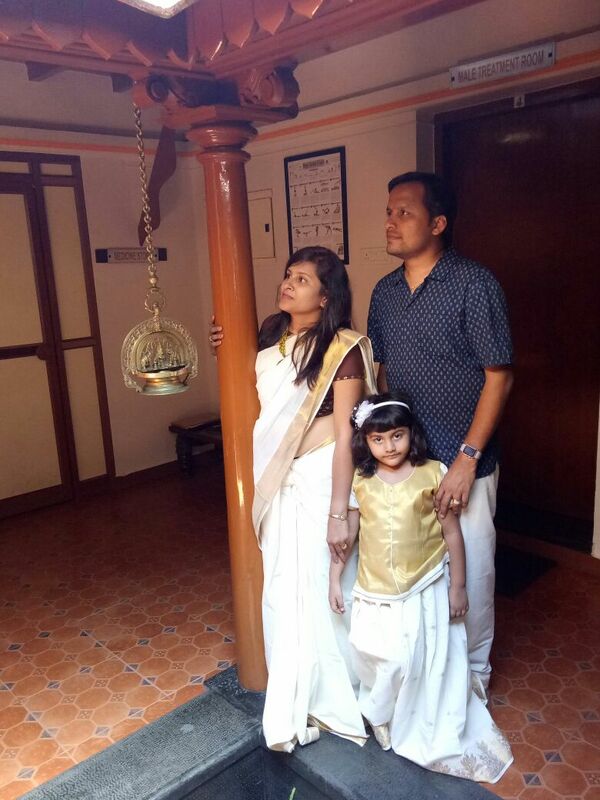 Traditional clothing in Kerala is an unique things and it reflects their simplicity and intrinsic lifestyle. White and off-white are the most preferable colour of the traditional costume of people in Kerala. Mundum Neriyathum is a traditional dress worn by Women in Kerala. A local Women may wear a Mundu or Saree depending on the occasion. It is made up of pure cotton. For weddings, they prefer Kanchipuram Saree made of silk and have zardozi or Kundan work on it. Whenever you visit Kerala you will find the majority of Women in their traditional attire. It depicts purity and delicacy. Luckily our last travel meet up was very different and they gave us to wear traditional Sarees and also for my family one mundu and cute dress for the angel. So it’s my recommendation that you must try to wear once, even for one picture, wear it with grace, and I’m sure u will never forget those lovely moments. Kerala is one of the substantial states of India when we talk about culture and tradition, the classical dance form of Kerala holds an exceptional place in the history of culture and tradition of India. Kerala is famous for its two classical dance forms Kathakali and Mohiniyattam, which captivate tourists worldwide. 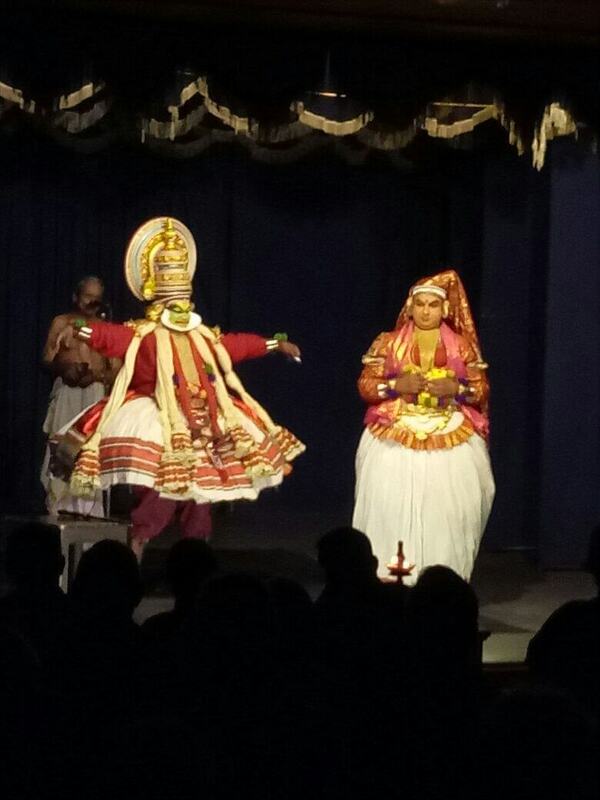 Kathakali is one of the most graceful classical dance forms. It is basically a realistic and the oldest form of theatre in the world. This dance form means story-play. It was originated about 500 years ago and includes a combination of dance, drama, music and ritual. Mohiniyattam this dance form embrace diverse features of Bharatnatyam, Kuchipudi and Odissi dance forms. It is a form of semi-classical form and is performed only by women and is broadly identified by Sangeet Natak. It is basically a Keralan snack, available easily at the streets of Kerala. 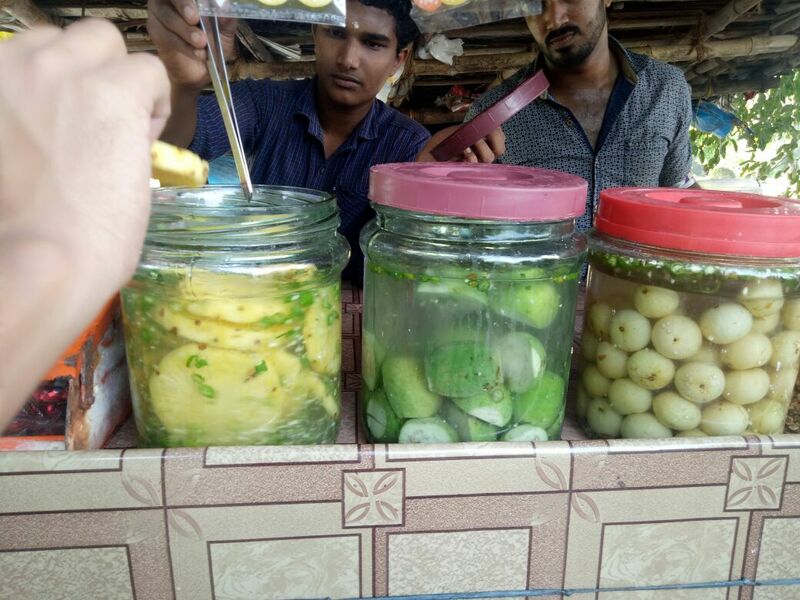 It is a type of snack in which the pieces of pineapple or any fruits are sliced or chopped in and are dipped in the jar containing the special water made by adding salt and green chillies in it. It tastes very delicious but is spicy. Whoever tastes it once, will never forget it and will take along as a memory as I have taken. I truly speaking this is the best unique thing I have tasted in Kerala. This seems like a great list and if I am ever visiting Kerala, I am surely going to check out all, but backwaters is in the top of my list. Thanks for sharing this list. Apart from the backwaters which are already famous, I loved their food and people there are super nice.